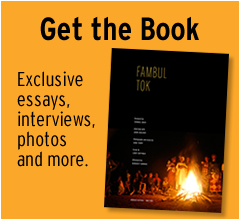 “Fambul Tok” is Sara Terry’s first feature-length documentary. 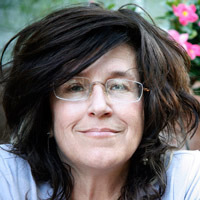 A former, award-winning reporter for the Christian Science Monitor (and founding member of Monitor Radio, the Monitor’s public radio program), Sara Terry made a mid-career transition into photojournalism and documentary photography in the late 1990s. 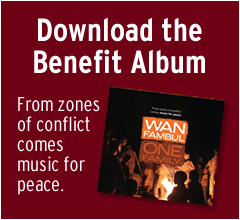 The focus of her work since then has been in post-conflict societies. Her long-term project about the aftermath of war in Bosnia — “Aftermath: Bosnia’s Long Road to Peace” — was published in September 2005 by Channel Photographics. Her work has been widely published and exhibited at such venues as the United Nations, Moving Walls/Open Society, the Museum of Photography in Antwerp, and the Leica Gallery in Solms, Germany. She is the founder of The Aftermath Project (www.theaftermathproject.org) a non-profit grant program that helps photographers cover the aftermath of conflict.